Moscow, August 22, Interfax - Russian President Vladimir Putin will receive Vatican Secretary of State Pietro Parolin on Wednesday, during the latter's visit to Russia, the Kremlin press service said on Tuesday. 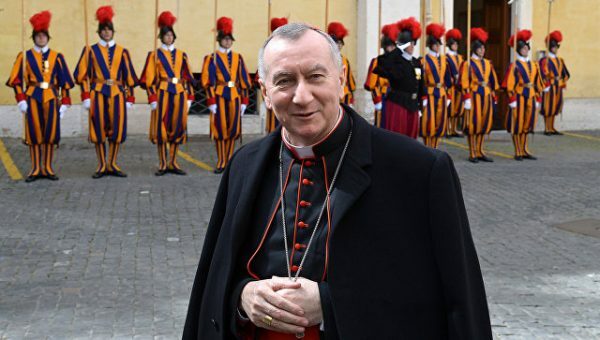 Putin and Parolin “plan to discuss key aspects of Russian-Vatican inter-state relations, including those in the political and cultural-humanitarian fields,” it said. The parties also expect to exchange opinions on relevant aspects of the international agenda, primarily the position of Christians in the Middle East and North Africa and the situation in Syria and in Ukraine, it said.